What might be all the ways to leverage World Creativity and Innovation Day, April 21 in 2018 to advance a decent life for all on a sustainable planet? What new ideas, decisions, actions and outcomes are possible? Global leaders are meeting at the United Nations this week for top level diplomatic talks on the needs of the world’s people, with discussions on vital issues such as sustainable development and climate change. ﻿What does it mean to use creativity in problem solving? Have your say. Greetings all! 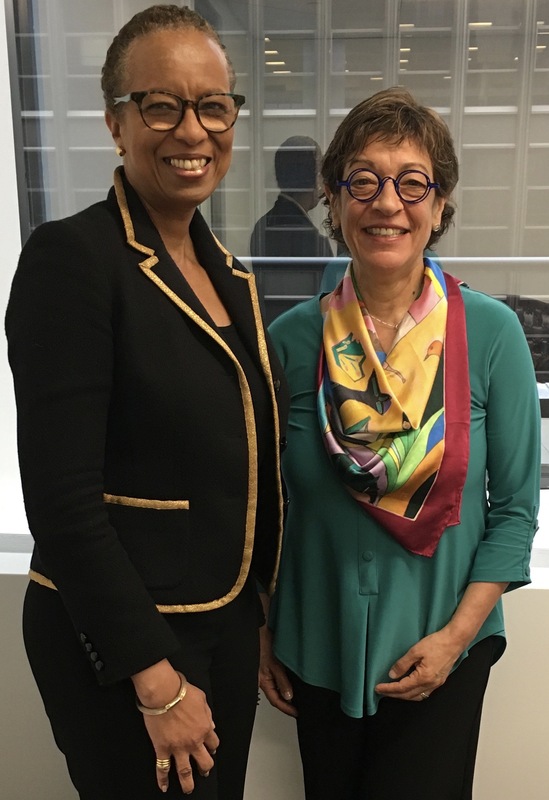 It was an honour and a privilege to meet with Ambassador I. Rhonda King, Permanent Representative to the United Nations from St. Vincent and the Grenadines last week, on Thursday, April 20, 2017, to discuss the upcoming resolution to include World Creativity and Innovation Day among the UN Days of Observance. Ambassador King is the champion of this resolution. Ambassador King is championing that all levels – government, public sector, and civil society – use creativity in problem-solving to make the world a better place and to make our place in the world better too, to reach the 2030 Sustainable Development Goals. What does it mean to use creativity in problem-solving? Would you like to contribute to the understanding of what it means to use creativity in problem-solving? I am preparing a document to submit to the UN describing what to expect when creativity is used in problem-solving at the government, private sector, and civil society, and welcome your voice, your additions. You will, of course, be given credit for your contribution and will receive a copy of the document for your files. Please keep submissions to 250 words or less, bullet form is fine, and say from which country you are writing. Copy editing may take place. Depending on the breadth of contributions, a summary paragraph may result, summing up the themes brought forward. Short term: I am on holiday for the next few weeks and look forward to compiling what you submit, beginning May 7, the deadline for your comments. What might be ways to align actions and use each as stimulation for creative problem-solving? How might you combine what you are currently involved in with advancing these goals? What are ways to collaborate with unlikely partners to make a difference? Your examples of applying creativity in problem-solving to meet the 2030 Sustainability Goals will inspire others to act in meaningful, responsible, wise and impactful ways to make a difference that makes a difference. Please keep a record of them. Help is needed, your help, to keep conversations alive, to keep creative energy moving. We are in for the times of our lives! Ask for what you need and want to build creative confidence, competence, capacity, comfort, and commitment to using our creativity (new ideas, new decisions, new actions, new outcomes) to make the world a better place and to make our place in the world better too.